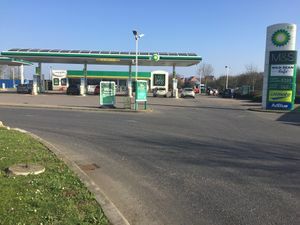 This is a forecourt, with a McDonald's built in the field behind. The road was designed so that it could be extended further into the fields - and soon it will connect to a housing estate. There is an Asda supermarket opposite.